Invest in this little pot of sparkly fun to use on those nights out when you just have to up the ante! This highly pigmented formula requires just a pinch to create maximum impact " use on your eyelids as a finishing touch, for a look that spells high-octane glamour and unapologetic style. About the Brand: Presenting an entire colorful range of face, lips and eye cosmetics that enhance your beauty and amplify your daily make-up looks. Loved by makeup fans across India, Miss Claire cosmetics are of premier quality, trendy, affordable and are formulated using the finest ingredients that care for your skin. The products are manufactured in accordance with European Standards. Choose from a huge range of Miss Claire makeup and beauty products right from lipstick, bronzers, highlighters, foundation, eyeliners to concealers all available in highly pigmented formula and textures. Miss Claire makeup products are affordably priced, long lasting and suit all skin tones. Explore the entire range of Eye Shadow available on Nykaa. 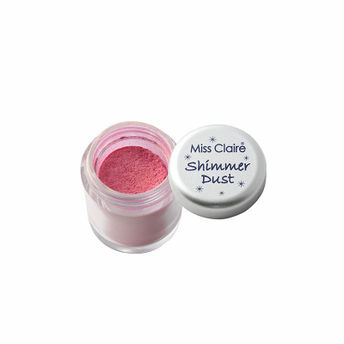 Shop more Miss Claire products here.You can browse through the complete world of Miss Claire Eye Shadow .Alternatively, you can also find many more products from the Miss Claire Shimmer Dust range.